Indeed this lake is a paradise with magnificent views! Rising straight out of the Atlantic Ocean around 1,500Km off the coast of mainland Portugal is the Azores (Açores) archipelago. Though volcanic in origin the chain stretches approximately 600Km and comprises of 9 significant islands and 8 smaller islets recognized locally as formigas (ants!). The governmental authorities do not allow any modern construction around this lake. 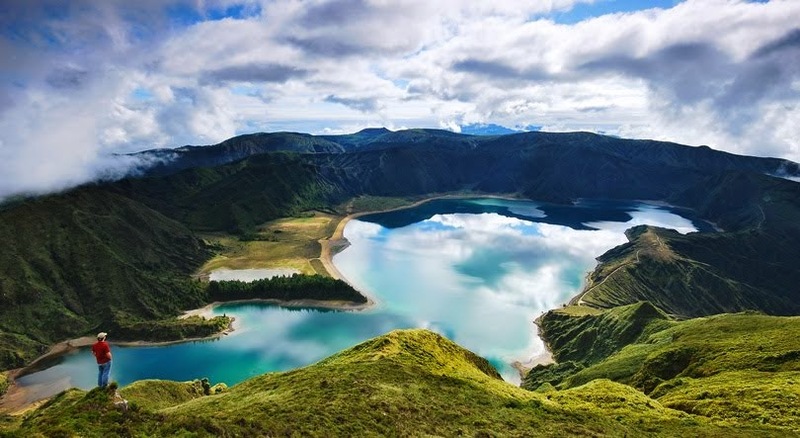 Lagoa do Fogo, which is Portuguese for Fire Lake, is so named because of the blazing 1563 eruption that could be seen from neighboring islands. There is also Sete Cidades in the west, and another watery crater toward the east at Furnas, each one a result of the island’s continuing volcanicity. 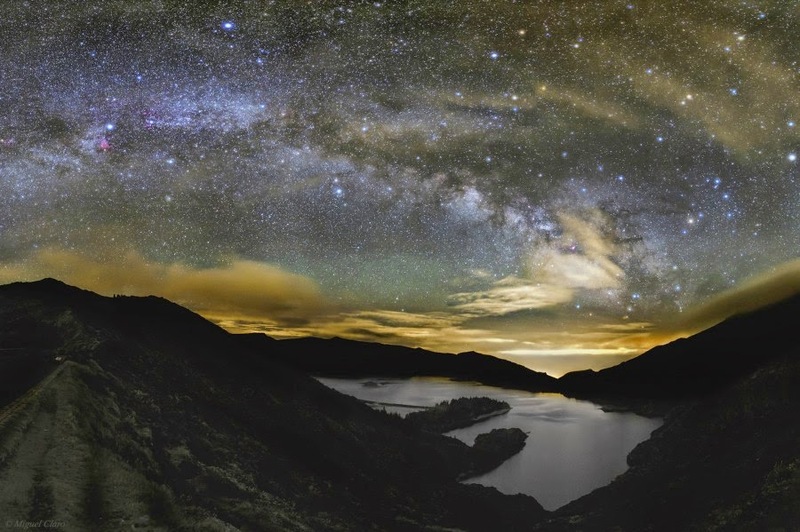 Sao Miguel Island is considered the capital of the Azores, and is the major, most diverse and most inhabited island among the nine islands. It’s recognized for its volcano-created lakes, its sulfur springs spa, its historic towns and its black sand beaches and mountains. It is also called the “Green Island” because of its interior where good soil makes for productive agriculture. 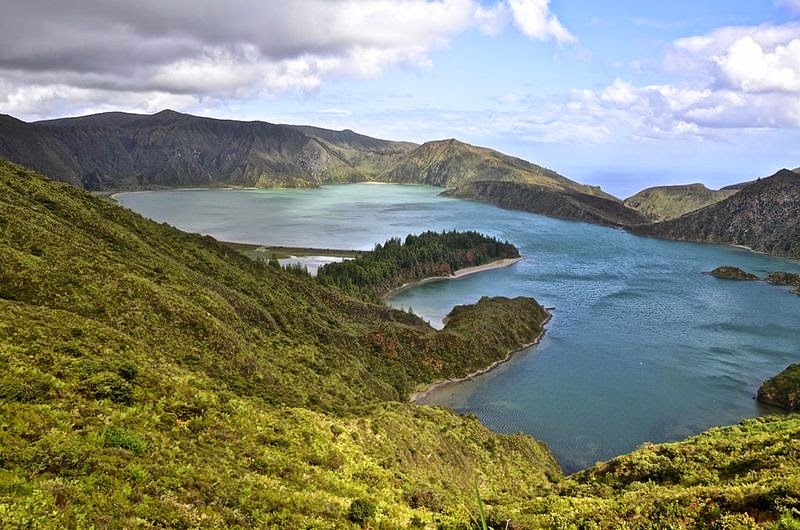 All the roads leading around the island of Sao Miguel, offers views of the rolling hills, the ocean and the occasional cattle wandering on the road. 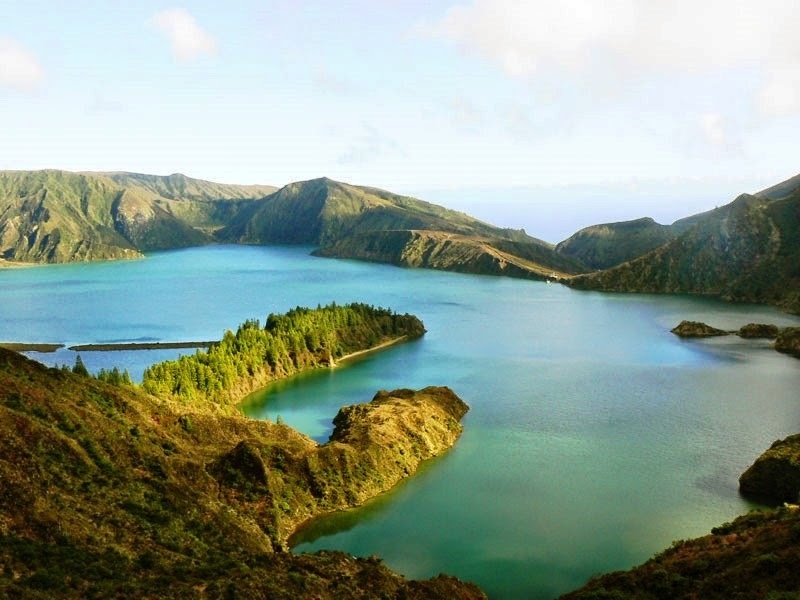 However on the eastern side lies Lagoa do Fogo or “Lake of Fire” a deep Caldeira with a lake at the bottom. Moreover nearby are two tea plantations and the only tea plantation in Europe. Along the cobblestone streets of the town of Furnas, some 23 types of mineral water flow and geysers bubble. Please be sure that the roads are modern, not the old cobblestone found elsewhere on the island. Hence you can drive without any fear & much easier as well. Here you can view beaches around the lake, and quite surprisingly sand is quite soft here. Hence walk on in bare feet. You’d be tempted to walk all around the lake.